The past three days have been the worst so far. The medication has made it impossible for me to fall asleep at night, even though I’m so tired. Night 3, I didn’t sleep a wink. By 5am, I was a desperate wreck and finally took 0.5mg of Ativan (lorazepam) to help sedate me. It took a while to kick in. I laid it bed until 8am when I heard Dumplin’ singing, and then I went to join him and DW as they played in the living room. By about 10am, I felt groggy, so I laid down again and fell asleep finally. I didn’t wake up until 1pm, when we had to get going to a friend’s going away party downtown. Night 4, I decided to take the Ativan in the evening with my Cipralex so that I had a chance at sleep. It worked, and I slept okay, but not deep enough to not notice Dumplin’ fussing for his regular 3 nighttime feedings. But, unlike all other nights, I returned to bed and was able to fall back asleep fairly quickly. The next afternoon, exhausted, and feeling really flat, I decided to bring Dumplin’ into our bed for a nap. It was the best nap we’d had in a long time. It was the perfect combination of both of us being tired, and both of us needing each other’s comfort. I woke up from the nap before he did, which is always nice compared to being woken up by him when I’m still needing more sleep. However, that nap involved an all-you-can-nurse buffet for Dumplin’, which may have been confusing for his nighttime sleep that night…. Night 5 sucked badly. Since Ativan is super habit-forming, DW and I decided that I should try sleeping without it. Again though, with the Cipralex coursing through my body, I got zero sleep. By 8:30am, I called it when I heard baby boy playing in his crib, and got on with our day. We went to the gym, came home, and then everybody napped. Again, I could not fall asleep!!! It’s so frustrating. Tonight, I’ll be sure to take the Ativan. – Dumplin’ has been sleeping like crap too- he’s in leap 5, which is termed the “world of relationships”. He is noticing the distance between us, and just wants to be close all the time, especially bedtime. 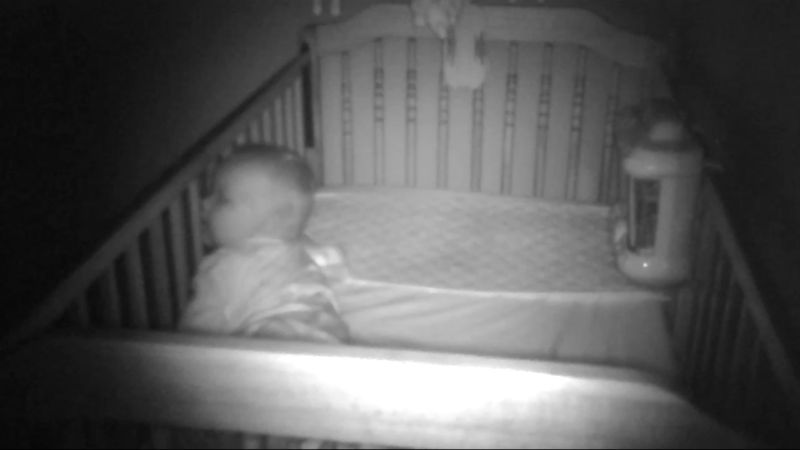 Last night he cried from 7pm-10:30pm (previously minimal crying at bedtime), and kept rolling into the crib bars, peering between them and looking longingly for us. During nighttime feedings, he’s clutching my back and my hands while he nurses, and when I unlatch him, he starts wailing like he’s been hurt. He just doesn’t want me to stop holding him. It’s heartbreaking. – DW has been my rock, and has been super supportive throughout this transitional period. She’s been watching Dumplin’ despite her extreme 38-weeks-pregnant discomfort. She has a hard time getting around because her feet are sooooooo swollen (she can’t even cram her feet into Crocs! 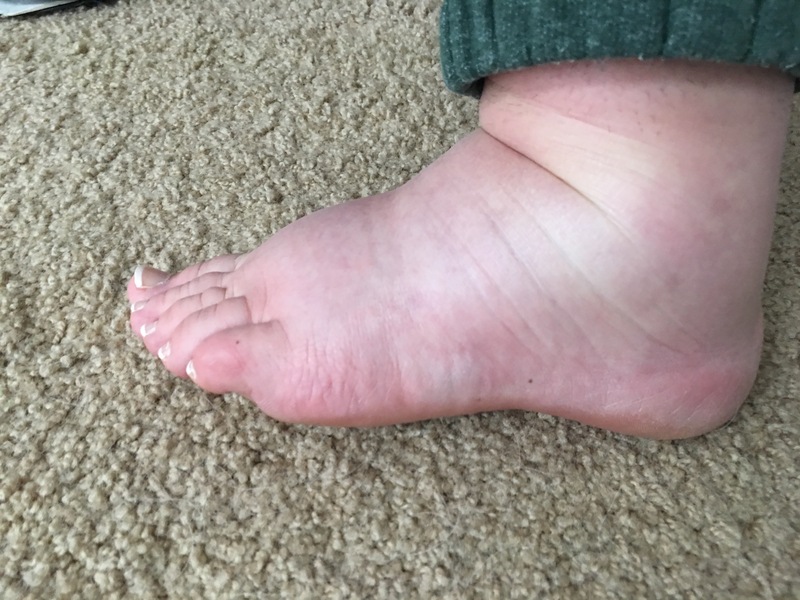 ), and struggles to carry the 21+ pound Dumplin’ because her hands and arms are so numb and painful from the shoulder impingement and carpal tunnel. I am so glad Mochi isn’t here yet, since I’m not through this transitional period with the Cipralex. 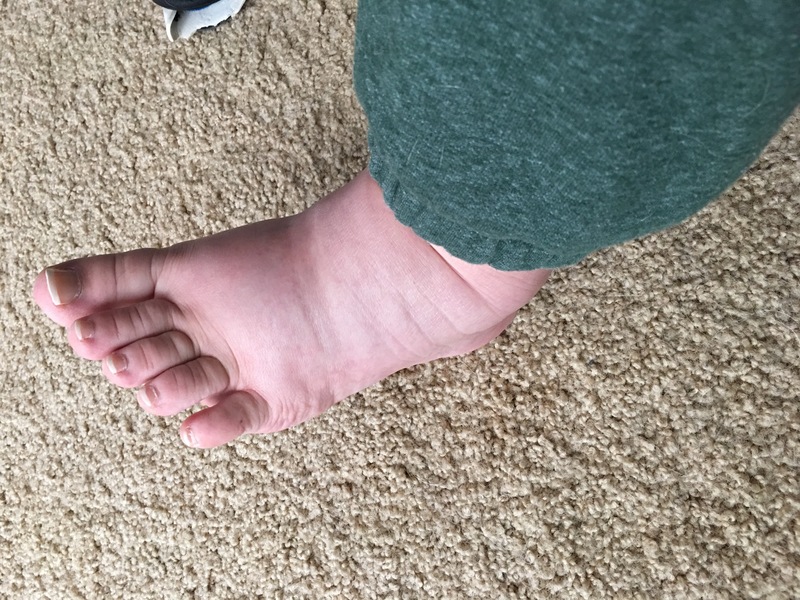 Warning: freaky pictures of DW’s feet below.